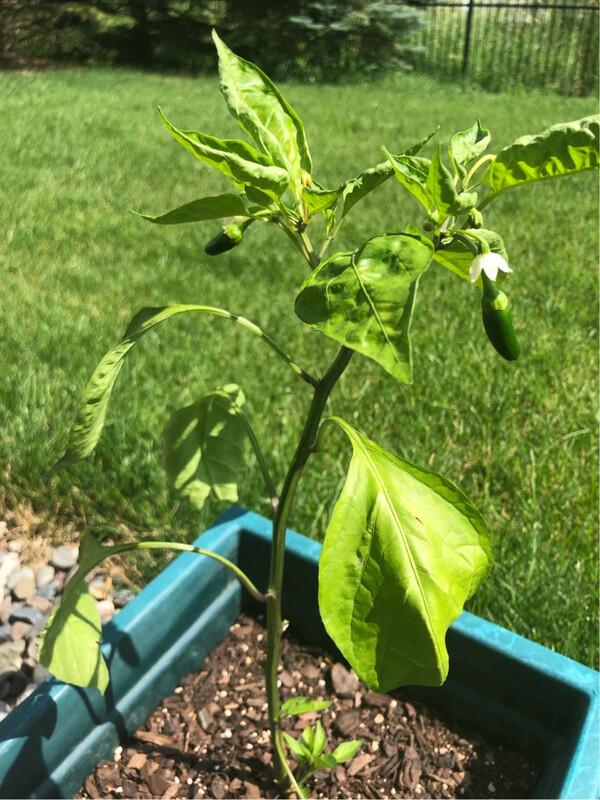 My jalapeño plant has been doing great so far, with no problems. It’s even growing two jalapeños. However, I’ve noticed recently on some of the newer flowers that after the flowers bloom, the stem turns yellow and eventually falls off. What is the reason behind this? Your pepper is desperately in need of a simple balanced fertilizer. The curling on the edges is lack of Potassium. The green of your plant is also saying Nitrogen deficiency. Have you used anything for fertilizer? All plants need a balanced fertilizer of NPK. And I gotta say my little dumb ditty about fertilizer; Less is Best, More is Death and None is Dumb. Sorry but it seems to help. Fertilizer is not plant food. Fertilizer most certainly is chemistry but the plant itself is a chemistry lab and factory. We animals are bags of chemistry. Soil does not come with the necessary chemistry for plants. Sort of a population control thing? Rain Forest soil is dark and yummy looking but NO chemistry for a new forest. It got taken away when the biomass was harvested. I would use Osmocote 14-14-14. Safe, lasts the entire season. Automatically releases just enough for the plant's needs and no more. I like the height of your lawn btw! Nice, healthy lawn!! (you mow at 3 to 3.5 inches)? Not the answer you're looking for? Browse other questions tagged diagnosis vegetables plant-health jalapenos or ask your own question. 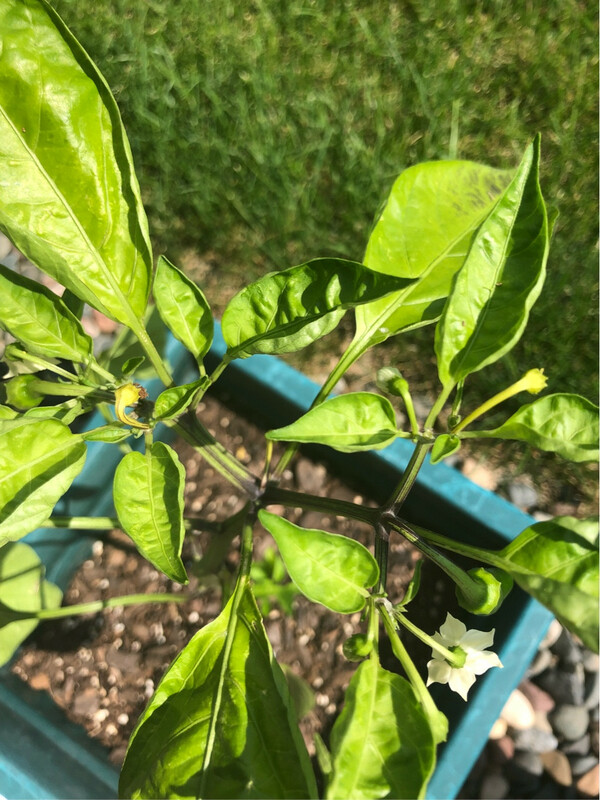 What's wrong with my chili bush? What is purplish thing that looks like eggs or pests on my Magnolia champaca? Why is the stem of one of my sunflower seedlings shriveling? Is my cactus dying? Or what is this? Is my Kentia Palm beyond saving?